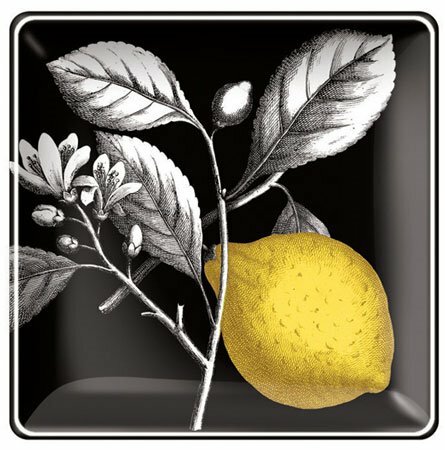 Botanical Lemon Small Square Tray is a transferware glass tray with a lemon reminiscent of old botanical prints against a black background. 4.5" square. Print is kiln fired to glass. Packaged in a patterned gift box.